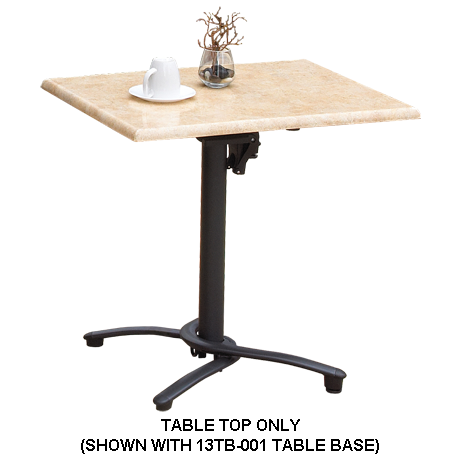 Superior functionality and great style will ensure that your establishment is inviting and comfortable, plus these tables and bases provide a classic, yet modern look that will perfectly accent any restaurant or café. 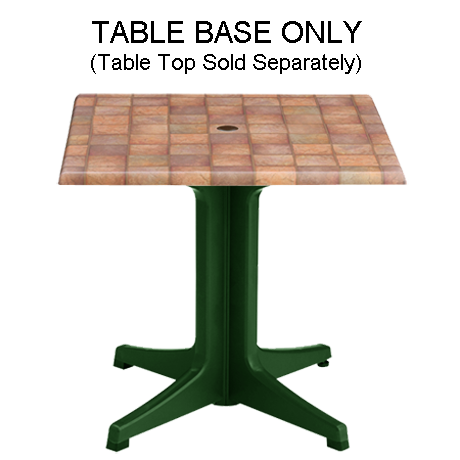 With the large collection of tables, table tops and table bases available in numerous finishes and colors, you can mix and match to create a unique look for whatever eating environment you wish to create. 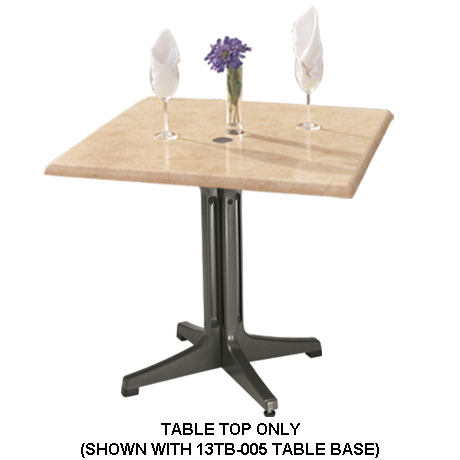 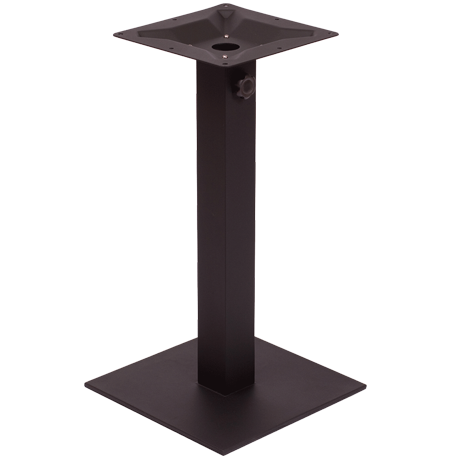 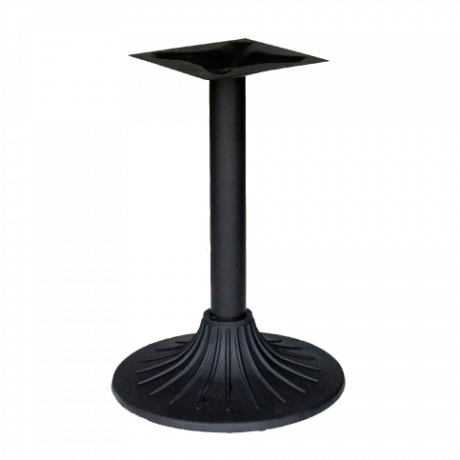 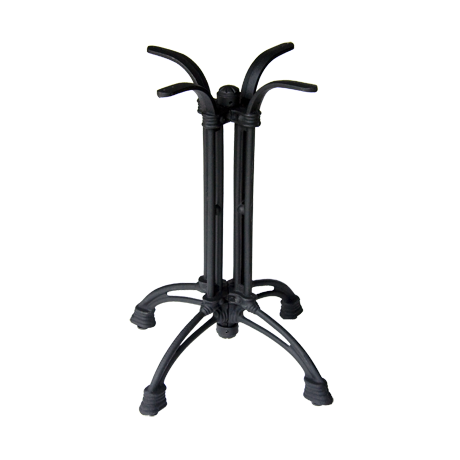 Seat your guests comfortably around these beautiful and durable bar height or dining height tables, indoors or out! 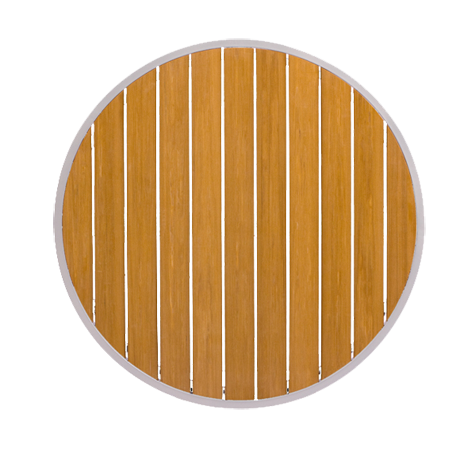 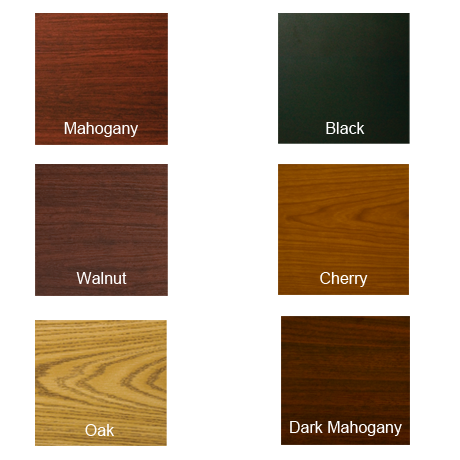 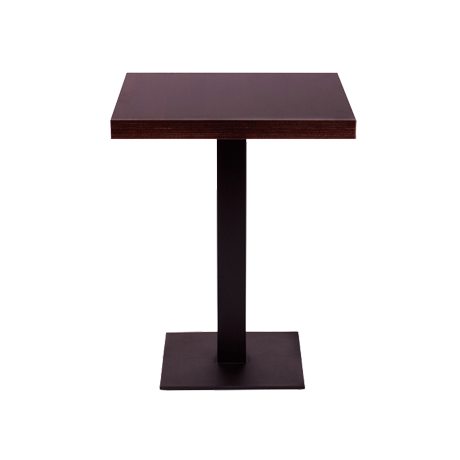 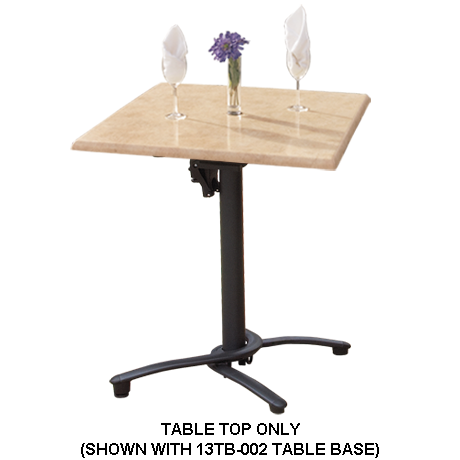 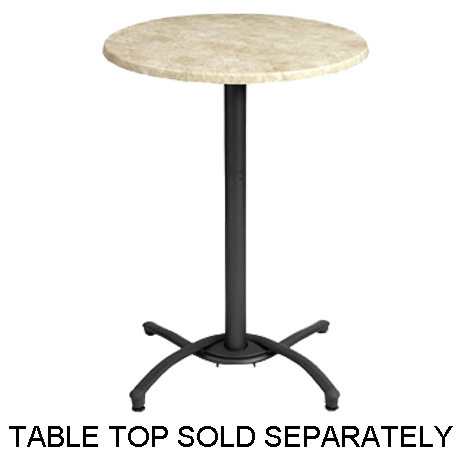 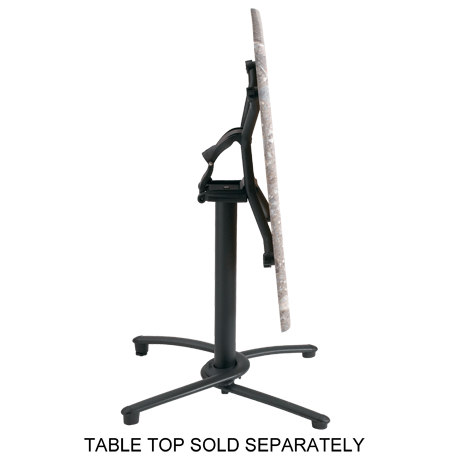 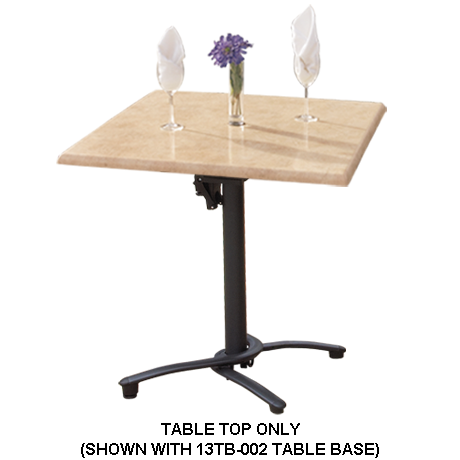 Simply choose your table top-double sided wood, or the low-maintenance resin, and then select your table bases. 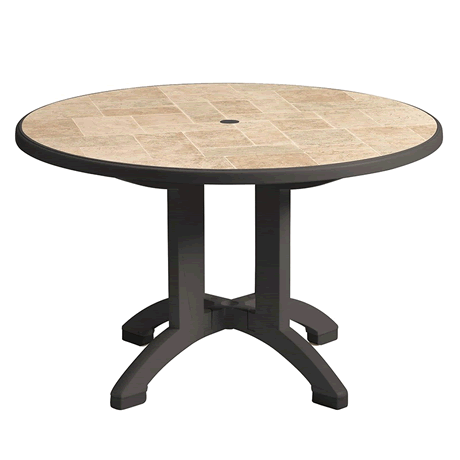 Pair your new tables with any combination of indoor restaurant seating to create your own one-of-a-kind look! 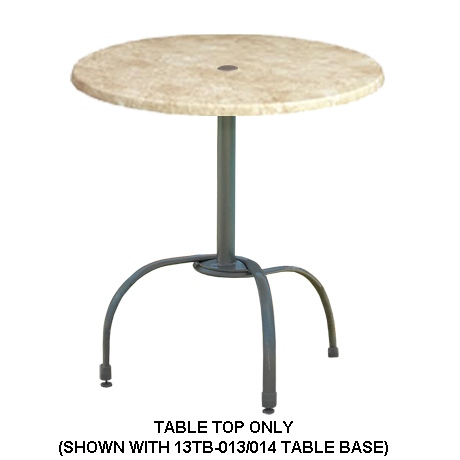 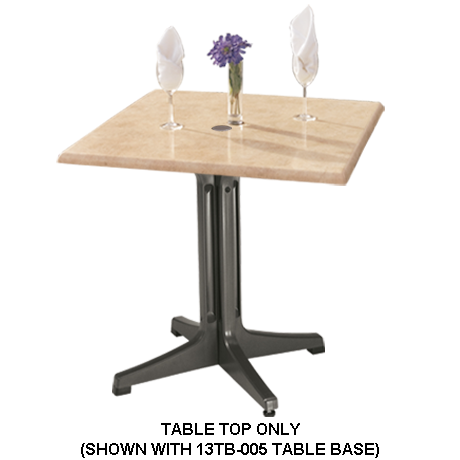 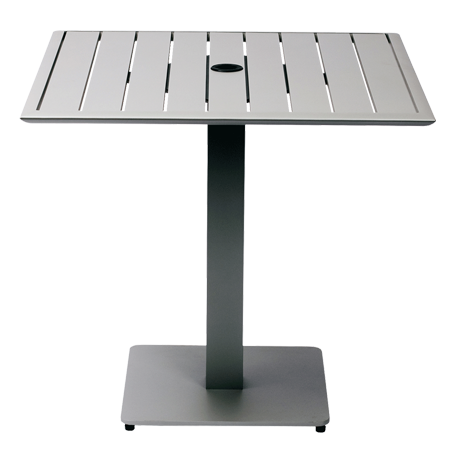 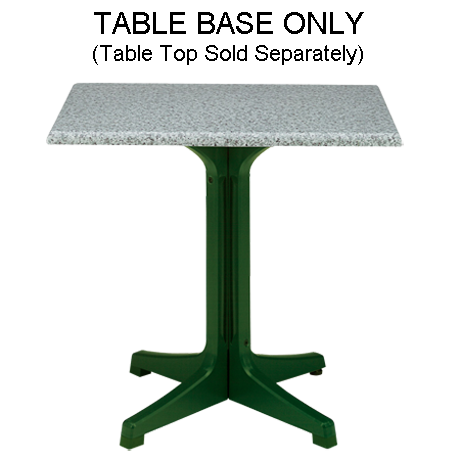 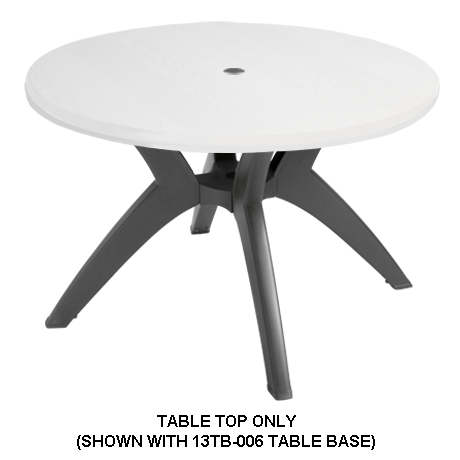 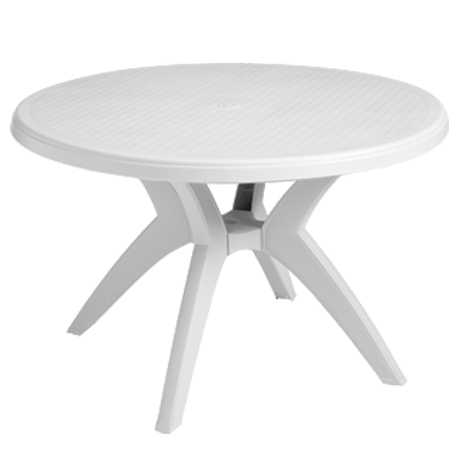 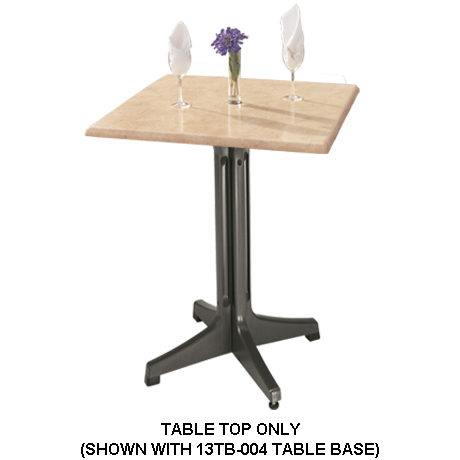 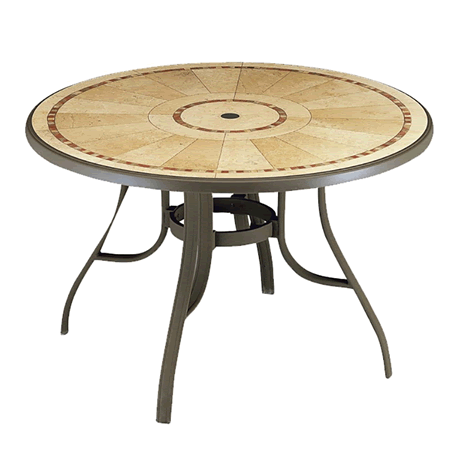 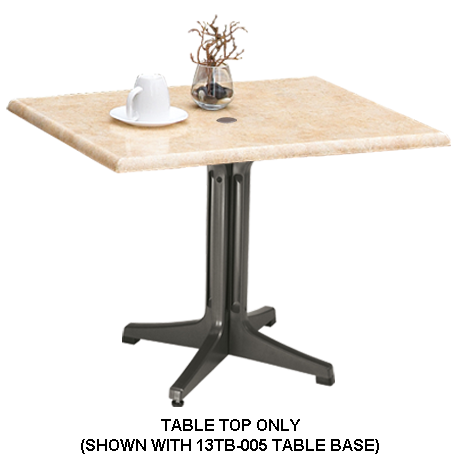 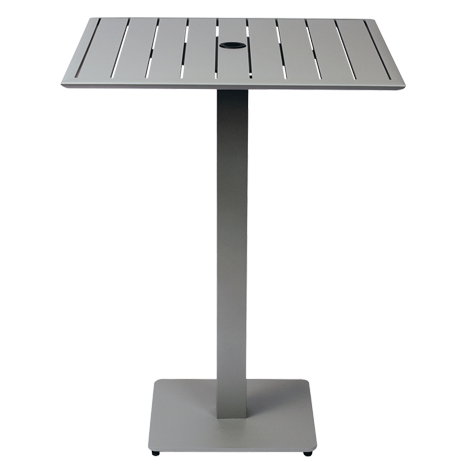 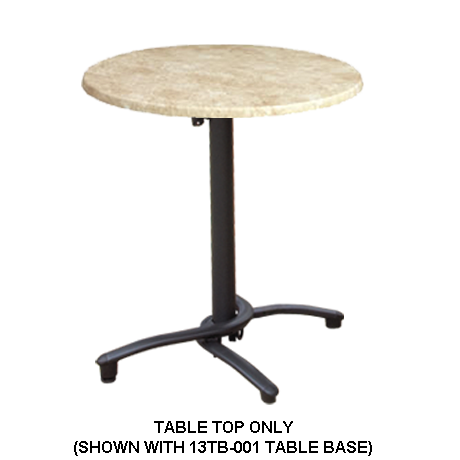 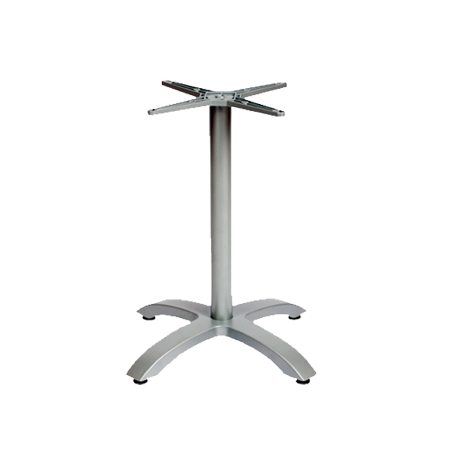 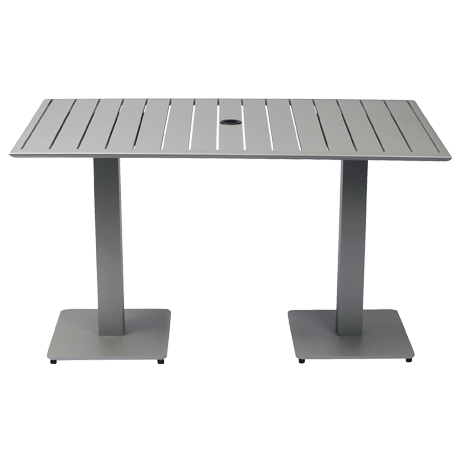 These table options are available in a large variety of finishes and materials including resin, aluminum, acrylic or fiberglass. 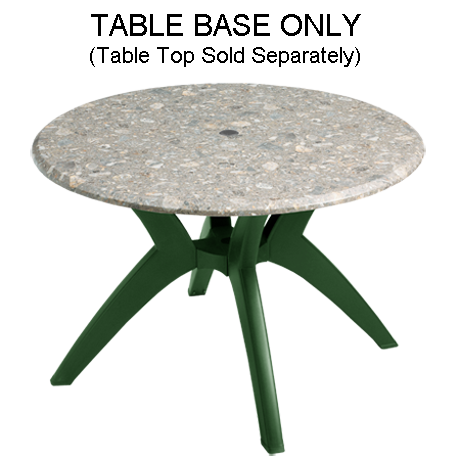 Of course, you could always choose molded melamine tables that are designed for easy storage or help the planet by crafting a bold and bright atmosphere with recycled plastic. 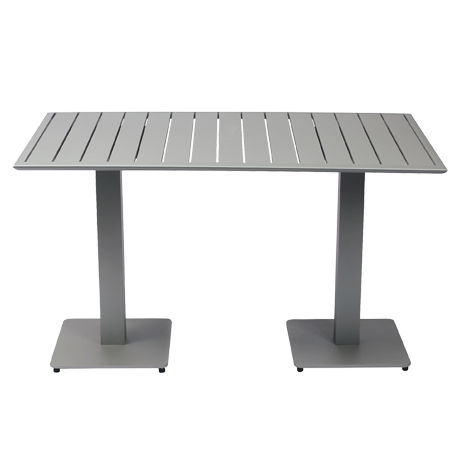 Pair these tables and bases with our wide variety of outdoor restaurant seating to make a statement so mesmerizing, the sunset will be jealous! 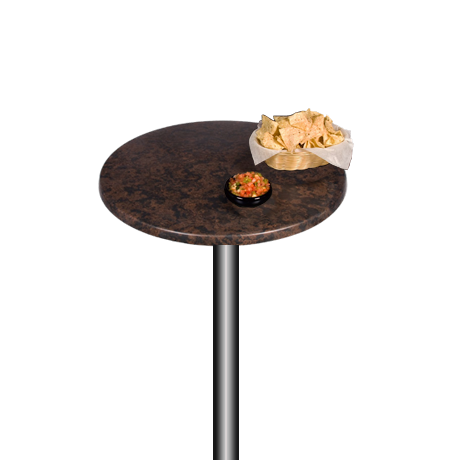 This commercial grade table and base collection has something for everyone-your guests will be so comfortable they’ll order seconds. 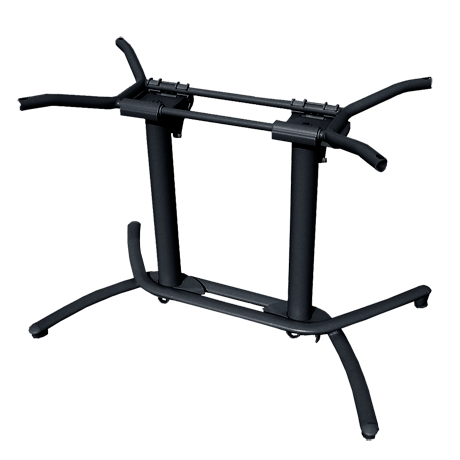 So, go ahead and buy extras to store away for when word gets around! 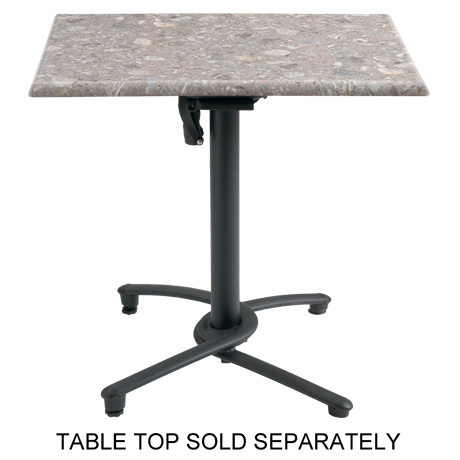 Call and let our friendly sales staff stir up some ideas to help you create a delicious eating environment for your guests!